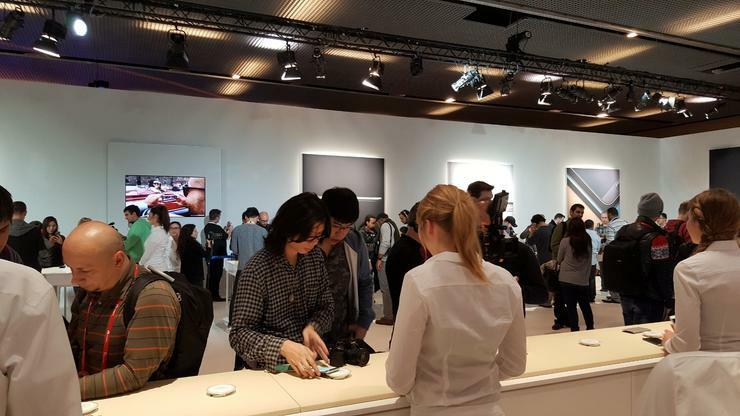 Samsung Unpacked in Barcelona was the day Samsung served it up to Apple with its new Galaxy S6 and S6 Edge smartphones. So expect the unexpected. And expect something different. Samsung started from scratch with the new smartphones. During development Samsung employees referred to it as ‘Project Zero’.But some features were sacrificed. Both Galaxys lack expandable storage, removable batteries and waterproofing credentials. Samsung has focused instead on implanting the best technologies into a small and slender smartphone. Changes made to the exterior are drastic and therefore immediately noticeable. Check out the very smart smartphones. Photos from TONY IBRAHIM.